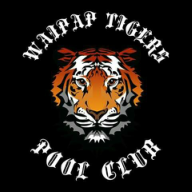 2015 is a brand new year and we have just announced the new edition team of Waipap Tigers 2, with the Pool Competition ready to kick off very shortly, our two teams Waipap Tigers 1 & Waipap Tigers 2 are putting in the hard yards to make sure we play at top competition level. We strive in competition no matter what lies ahead of the Waipap Tigers this year we are there. We give thanks to our sponsors and all the support we have for the 2015 season. Kaitaia Business Association - supporting, encouraging and promoting businesses in Kaitaia and the surrounding area of the Far North of New Zealand.